At PG&E, we are proud that 200,000 of our customers have chosen to “go solar,” accounting for about one quarter of all rooftop solar systems in the United States. We’re also committed to doing more and working with our customers and the state to promote solar and other renewable energy resources. We’re finding new ways to enable clean energy options for our customers, and are investing in a modernized grid that can integrate more solar and renewable energy—as well as electric vehicles, electric batteries and related energy technologies—distributed across the system. Solar power is critical to California’s clean energy future and we are working closely with our customers to help them add solar and connect to the grid. On average, we are adding nearly 6,000 new solar customers a month—that’s about one new solar customer every 7 minutes. We offer customer incentives for rooftop solar, solar water heating, fuel cells, wind, battery storage and other advanced technologies. Our programs have helped customers reduce their energy bills and carbon footprint and complement the many cost-effective energy efficiency measures that PG&E offers. PG&E’s solar and distributed generation programs are also an essential component of the electric grid of the future, one that will give customers more choice in how they use energy. PG&E customers interested in adopting solar can visit our website to learn about finding an experienced contractor, available financing options and how to maximize their solar investment by ensuring their home and appliances are energy efficient. We also offer a solar calculator to help customers better estimate the appropriate size of their solar system, the likely cost and how much energy it will help them save. PG&E sends new solar customers a welcome kit explaining how their solar bill works and follows up with targeted communications at key times throughout their initial year. Our redesigned solar bill helps customers understand their annual charges and credits. A dedicated solar contact center provides knowledgeable and specialized customer service representatives to answer questions at any point in the solar adoption process. Additionally, an easy-to-use online portal allows solar customers to track their charges and credits throughout the year and tally how much money they have saved. For the seventh straight year, the Solar Electric Power Association named Pacific Gas and Electric Company first in the nation in its ranking of utilities with the most solar megawatts added to the grid in 2014. PG&E’s California Solar Initiative-Thermal program provides rebates to single-family and multi-family residential projects as well as commercial customers who install eligible solar water heating systems for their home or business. The program will run through December 2017 or until the budget of $280 million is exhausted, whichever occurs first. PG&E offers solar photovoltaic (PV) incentives for single- and multi-family affordable housing and customers can also apply for incentives for new energy efficient homes that install solar. PG&E’s Self-Generation Incentive Program provides incentives for customers to implement other advanced on-site generation and/or storage technologies, such as fuel cells, wind turbines, combustion engines and advanced energy storage systems. The goal of the program is to reduce peak load and greenhouse gas emissions for participating customers. Due to unparalleled demand, PG&E’s available incentives for residential and non-residential customers through the California Solar Initiative—totaling $877.7 million—were exhausted in 2013, three years ahead of schedule. 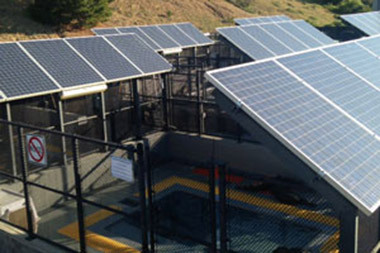 PG&E worked with the Marine Mammal Center in Marin County to install solar panels on its roof to save energy and money. The solar installation saves the center about $20,000 a year—enough to feed about 200 sea lions each month. Supported customer solar water heating. We provided average incentives of about $2,000 to single-family residential solar water heating projects, and more than $27,000 on average for multi-family residential and commercial installations. These incentives have helped support over 800 gas-offsetting projects of all types since the program’s inception, which, in total, are expected to avoid over 1.2 million therms annually. Supported other customer self-generation. We allocated an estimated $60 million to customer projects that will install approximately 37 MW of distributed generation, such as fuel cells, wind turbines, internal combustion engines and advanced energy storage systems. Continued to improve the customer experience. On average, a new solar rooftop system can be interconnected by PG&E in less than five days. This is one of the fastest processes in the United States and compares to an industry average of four weeks. We’ve also enhanced the experience for new solar customers with a welcome kit, redesigned bill and online resources. Raised customer awareness of solar power and other generation technology options. We offered a wide range of training opportunities on solar and other technologies for different audiences and education levels, both online and in the classroom. We held 49 solar classes in 2014 with more than 1,200 attendees. In 2014, we surpassed 150,000 interconnected solar systems, a significant milestone for PG&E, the solar industry and our customers. The total is now about 200,000, representing 25 percent of all rooftop solar in America. PG&E offers a discount program to encourage employees to choose solar for their home. Through the new program, PG&E offers employees a $1,000 incentive to help make solar more affordable. Today, Californians have more energy options than ever before. PG&E is enabling customers to meet their energy needs in whichever way they choose, including generating their own energy with rooftop solar. We are working with diverse parties on smart solar reform in response to state law AB 327, which requires the CPUC to revise the current approach for compensating solar customers. The reforms aim to ensure that costs and benefits from customer solar generation are balanced while ensuring sustainable growth of distributed solar. 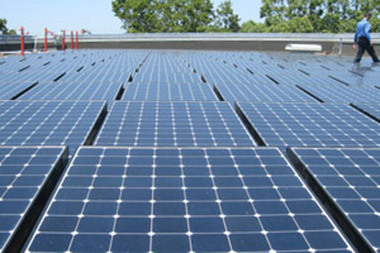 PG&E supports reform measures that continue to provide compensation for solar energy provided by our customers, while ensuring that everyone who benefits from the grid helps to pay for the investments and modernization projects that enable two-way flow of energy and integration of additional amounts of clean distributed energy resources. Our proposal gives customers the opportunity to control their bill by effectively managing their peak energy usage, which reduces customer costs and benefits the electric grid. More broadly, we are focused on building the foundation for the Grid of Things™, in which solar plays a crucial role to provide maximum grid flexibility and value to customers. The Grid of Things™ will integrate all of the new energy-related technologies that are being developed and come together in a way that gives customers maximum flexibility, maximum choice in how they use energy and, ultimately, maximum value. PG&E received permission from state regulators to offer electric customers a new clean energy program that will provide up to 100 percent solar power for a modest cost premium each month. Two plans will offer customers a simple and effective way to do even more to support the growth and future of clean energy in California. The programs are in development, with launch dates pending CPUC approval. A Community Solar Choice plan will allow customers to purchase 50 or 100 percent of their energy usage from a pool of new solar resources located within PG&E’s service area. Enrolled customers will pay a modest cost premium each month and PG&E will sign long-term power purchase agreements for new solar resources, which range in size from 0.5 to 20 MW. A Local Solar Choice plan will enable customers to contract with a third-party developer for a share of the output of a local solar project and receive a credit on their PG&E bill. 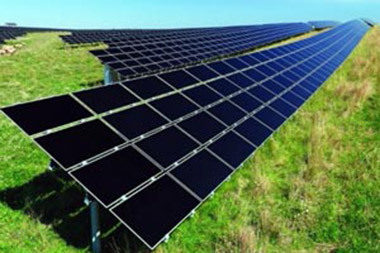 Projects will range from 0.5 to 3 MW in size and be located within the same county or 10 miles of participating customers.